Immersed in the green heart of Umbria. Città della Pieve and the nearby Tuscan art cities. 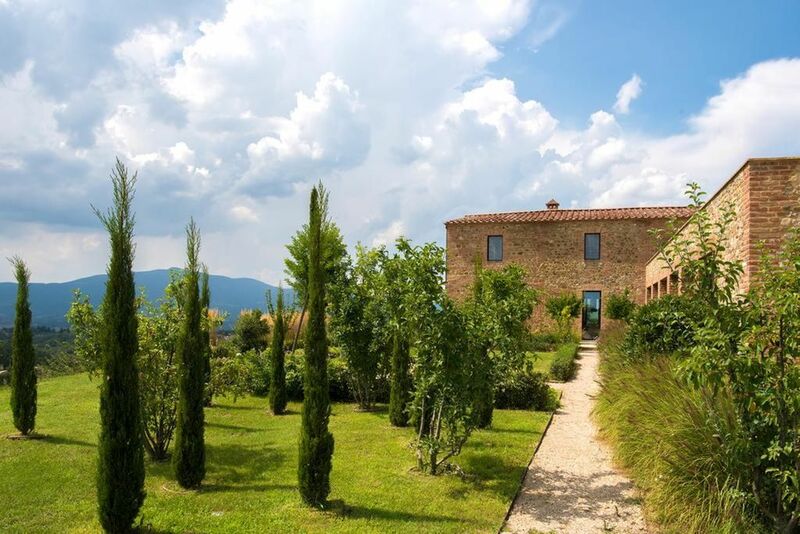 Just few minutes from Citta Della Pieve, Podere la villa Nuova is ideal situated. Surrounding by olive trees with a panoramic view on the Tuscany hills, one hour drive from Florence and others. The town is noted for its blending of Umbrian and Tuscan cuisine, using the fruits of the forest like truffles and porcini mushrooms, hand made pastas, and exactingly-cured meats for which Umbria is famous. The area is noted for the cultivation of saffron, harvested by hand from the crocus blossoms. this part of Umbria is an ideal stop for your trip.